In 1944, Field Marshal Bernard Montgomery conceived and planned Operation Market- Garden, whose goal was to bypass the Siegfried line and trap the German 15th Army, then cross the Rhine and swiftly advance to Berlin. In Montgomery’s eyes, the operation would result in a decisive victory for the Allies and a quick conclusion to the war. Not quite so, as history would have it. For several reasons, Operation Market-Garden ended in a resounding failure. It was indeed a bridge too far for the Allies. Last week, the water supply in my locality was temporarily shut off while a leak was being repaired in Limerick city. On that same week, tap water at my place of work had an unsightly brownish hue. In some areas of Co. Clare, it has a yellow tint instead. Drops in water pressure are commonplace, not to mention the dangerously high fluoride content. Yet, despite all this, our Government has seen fit to grace us all with a Water Tax. In other countries this fact would be seen as a seemingly incongruous conundrum, when taking into account all the aforementioned issues. Not in here though. A new tax on the liquid1 manna sent from heaven is just the thing. And why not waste a few extra million in setting up a new quango to manage it all while we’re at it? About 180 million euro of public money was spent in the set-up of Irish Water, a great chunk of it (86 million, to be precise) was taken up by consultancy fees. Water is a refreshing necessity kindly given to us by Nature. It cannot be manufactured, just as it cannot be stopped if a flood hits. Nevertheless, we need water to live. In fact, one of the reasons life is so abundant on planet Earth is that very same liquid gold which the Irish Government, through its puppet quango -Irish Water- now wants us all to fork out good money for. But other European countries have been paying water charges for decades, I hear you say. True. But these countries have a proper infrastructure in place, one that is properly maintained, does not leak like a sift, and usually does not make you sick just by drinking the stuff. In 2007, for instance, an outbreak of waterborne cryptosporidiosis in Galway made over 200 people ill. A boil water notice remained in effect for 5 months, including the peak tourist season, with the corresponding loss of revenue to the hospitality business, damage to the country’s reputation, etc. The spectacular demise of the so-called Celtic Tiger brought about dramatic changes in Irish society. And through the gross mismanagement of the flailing economy by successive Governments, the country handed over its economic sovereignty to European loan sharks. Among the many conditions such group imposed on us in exchange for cash was the introduction of a new water charge. The Government, never one to shy away from pandering to Euro whims, gladly concurred. Such charge has faced stiff opposition from the very beginning, from all corners of the country. Scuffles have broken out everywhere, water meters have been forcibly removed, and even the Taoiseach was hounded by water charge protesters during a visit to Limerick. People are rising against a new tax by stealth. 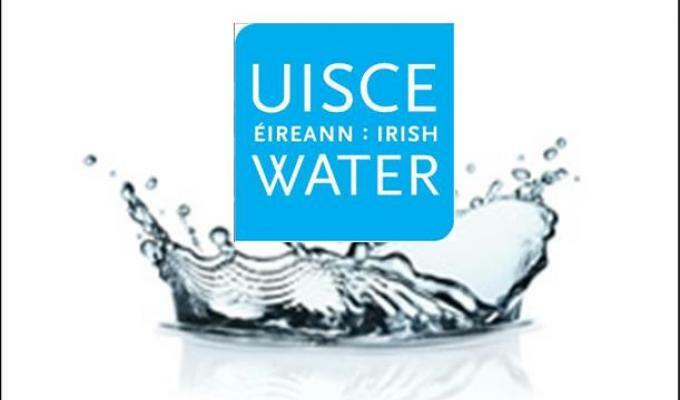 Irish Water itself, the Government owned body tasked with managing the installation and maintenance of new water has been embroiled in controversy over set-up costs and overblown consultancy fees from its inception. John Tierney, head of Irish Water, always insisted that the Government was fully aware of such exorbitant fees from the outset. At the time, however, ministers claimed they ‘heard it on the radio’. Whatever the case may be, Irish Water are here to stay. lt is claimed that 115,000 meters have already been installed around the country. Precise details of exactly how much of our money will be taken from us by this new utility company have yet to emerge. Also, it was originally claimed -before the local and European elections- that every child in the country would receive a free water allowance of 104 litres per day, which equates to 38,000 liters per year). Now, based on their own research, Irish Water claim that children appear to consume less water than originally believed. Hence, they are attempting to reduce this allowance. The Government are treading dangerous water (pun fully intended) with this one. With a little bit of luck, it will prove a tax too far. Posted on June 2, 2015 June 2, 2015 by d4hakkaPosted in My life as a journalistTagged government, irish water, tax.